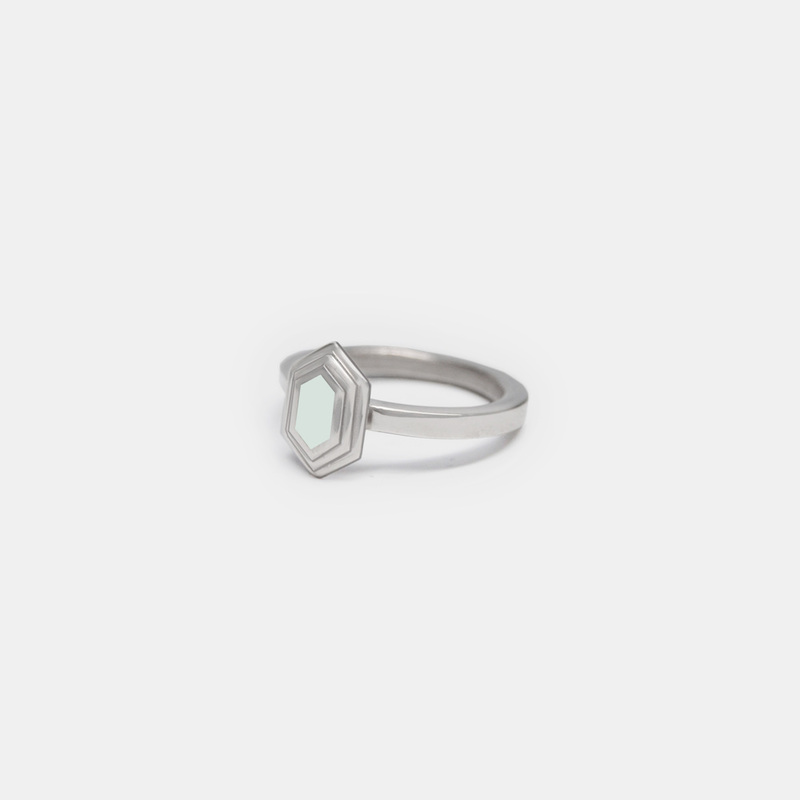 The clean lines of the Axis Ring create a delicate geometric simplicity. Available in Sterling Silver or Brushed Bronze with your choice of inlay color. Choose from a soft palette of Salt White, Jet Black, Pale Mint or Dusty Rose. Each cuff is thoughtfully crafted by hand in Beacon, New York. Please allow 3 weeks for us to complete your order.